McALLEN — Last Friday, the McAllen High Bulldogs didn’t play their regional semifinal girls soccer match against San Antonio Johnson until 3 p.m. Defender Emily Gurwitz woke up before most of her team that morning to FaceTime with her classmates in Laurie Mohel’s 11th-grade English class in the International Baccalaureate program at Lamar Academy. Gurwitz couldn’t miss her interactive oral presentation, and she did what it took to get the grade before pitching in defensively in McHi’s 2-1 win over Johnson. 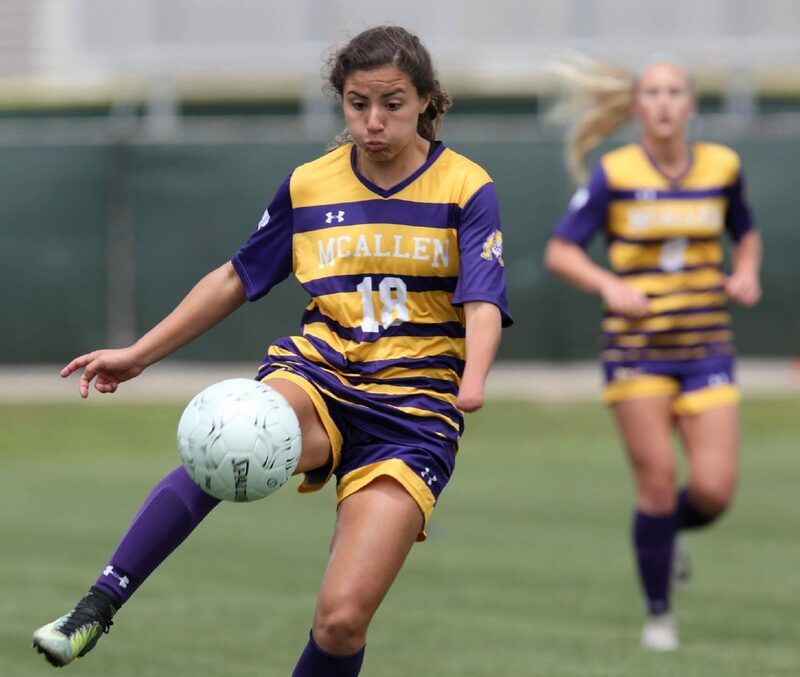 The Bulldogs picked up a victory against Austin Lake Travis in the regional finals the next day, becoming the first team in the history of Valley girls soccer to advance to the state tournament. 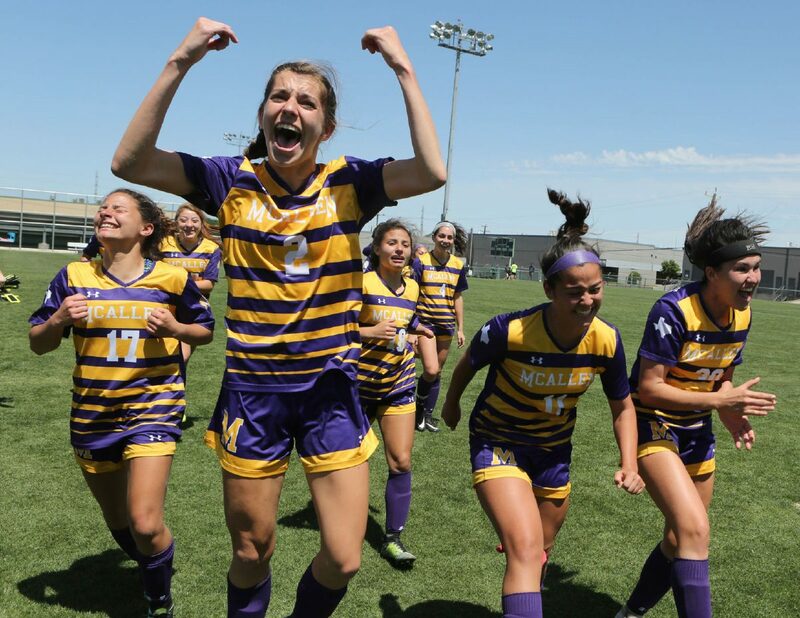 McHi faces Houston Memorial in the UIL Class 6A state semifinals at 9:30 a.m. Friday at Birkelbach Field in Georgetown. McAllen High's Hannah Kelly, front left, celebrates with her team after defeating Austin Lake Travis in the Class 6A regional final match Saturday, April 14, 2018, at Blossom Athletic Center in San Antonio. Kelly is a student in the International Baccalaureate program at the Lamar Acadamy. While every student-athlete has a lot on their plate, the students who attend IB have an especially daunting workload. IB is comprised of students from each of McAllen’s three high schools, with each student registered through their home McAllen ISD campus — McAllen High, in Gurwitz’s case. The days are split into “A” and “B” schedules to replicate university and college classes. Gurwitz’s educational obligations made her an early riser, and that night her passion kept her up late as she watched a severe thunderstorm over the San Antonio sky. The junior plans to pursue atmospheric science, hoping to work for the National Oceanic and Atmospheric Administration (NOAA) or the National Weather Service (NWS). The IB classes are similarly challenging to advanced placement (AP) classes but also include the “world thinker” focus, which asks students to apply their classroom knowledge to real-life projects. Community service, extended research essays and standardized testing accumulate points toward the IB diploma, which is awarded during the summer following high school graduation and is separate from the high school diploma issued by McAllen High. As sophomores, IB students tackle a “personal project,” which can be anything from a soccer camp for students with disabilities, like Gurwitz did, to a project like Andrea Soto’s, which educated athletes on how to prevent ACL injuries. Soto suffered an ACL injury as a freshman. According to teachers and students, freshman year is the toughest year at the IB program, because students have to adjust from their middle school. Soto is interested in studying medicine. Biology and chemistry teacher Laura Nikstad said she’s happy that interests and schoolwork intercept. Her hope is that graduates will someday work in a field they’re passionate about. 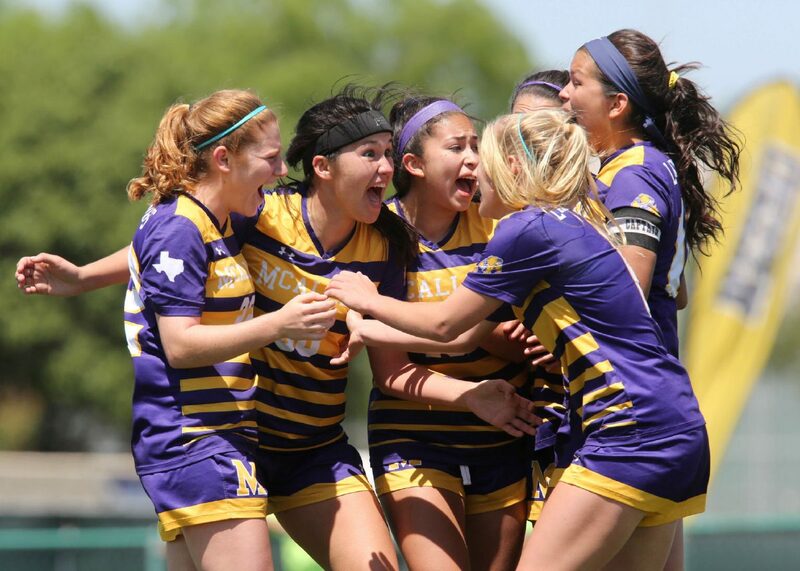 In total, nine members of the McHi girls soccer team are students in the IB program at Lamar. Emily’s younger sister, freshman Katy Gurwitz, is in the program. Chloe Fallek is in the dreaded first year, while Tori Sola is in her final year. Hannah Kelly and younger sister Grace Kelly are also students in the program, along with all three of the Soto triplets — Andrea, Sophia and Giselle. In March, Gurwitz found out she would be attending the NASA High School Aerospace Scholars Internship Program in Houston.